A huge thank you to all of you for commenting and entering my giveaway. Congratulations to the winners. If you have won, I will be in touch to confirm details and addresses. If you haven't won, keep an eye on this website as I have a couple more awesome giveaways coming up very soon. The US Ball Canning Prize Package: Congratulations Maggie Drake. I will arrange for your canning pack to be sent to you as soon as I get your mailing address. In Edmonton: Congratulations Su. You win the Ball Canning Discovery Set, the Ball Blue Book of Canning and a vegetable pack from my garden (watch out!). The Rest of Canada and The World: Congratulations, Kim Anne, Stephanie Scott and Jaime. Please email me your mailing addresses at michellepatriciapeters@gmail.com. Thanks again for your lovely comments and entries. When our two-raised-beds-and-a-few-neighbours'-garden(s) produce, it all goes a bit wild. There are times when I am so glad that I get August off, because I would have no idea how on earth I would be able to preserve and can all of the produce that keeps coming at me. This year, the bounty included carrots, beets, more zucchini than I can handle, a boat load of Evans cherries from the neighbours' garden, peas, beans, chard, arugula, lettuce... and I still have the potatoes to come. 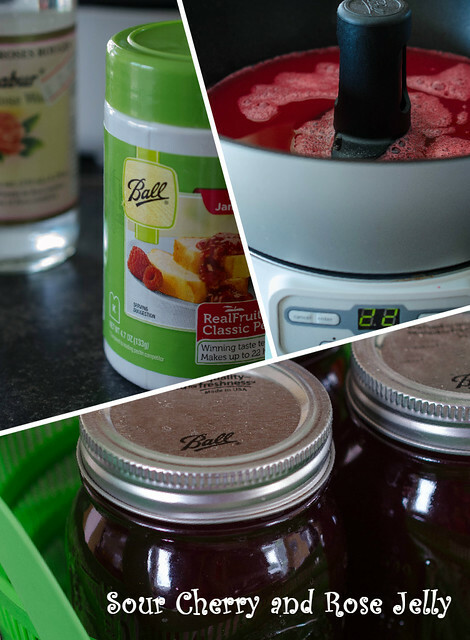 So when I was asked to review Ball Canning's FreshTECH Jam and Jelly Maker, as well as take part in their Can-It-Forward Day on August 17th, it seemed like fate was taking a role in helping me out here. I would love it if you joined me for Can-It-Forward Day on August 17th. I will be canning along with the experts, though I'll be a little behind New York time. If you want to join in, follow along on Ball Canning's Facebook Page, on Twitter, using the hashtag #canitforward and on Pinterest. Ball Canning sent me a giant box of goodies to try out, and I couldn't have asked for a more perfect way to celebrate my garden bounty. If you've been following me on Twitter and Facebook, you'll have already seen the pictures that I've been posting, including this one from a rather precarious position :) That daring did elicit a cooler full of cherries, though, so all is well. I decided to make a jelly that I've been meaning to try for a while, and this seemed like a perfect opportunity. 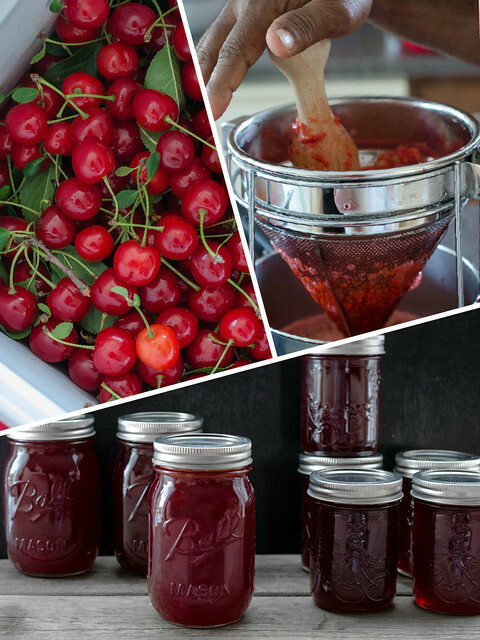 The FreshTECH Automatic Jam and Jelly Maker is designed to take the stress out of preserving. Its simple enough to put together, even for the mechanically challenged likes of myself, and the instructions are simple and easy to understand. They have a good set of recipes included in the box, and an even bigger selection online, so its easy to fin what you are looking for. As I mentioned earlier, I had a large cooler full of sour Evans cherries, so instead of opting for a recipe from the book, I decided to use Ball Canning's online pectin calculator ( a really nifty little tool) and make my own jelly. But I love the recipes in the book, and I am eagerly looking forward to making the pepper jelly among others. Once I had my proportions right, it was a cinch to make the jelly. As promised, the Jam and Jelly Maker took all the guesswork out of making the fresh preserves, and all I had to do was hang around the kitchen, waiting for it to beep. Once the jelly was done, I just ladled it into my jars, the ones I prepped as I was waiting for the machine to do its thing, and I canned them using the preserving method. If you are giving away the jelly, and don't want to bother with this step, then you can just as easily pop the jars into the fridge too, where they will keep for three weeks. Overall the experience was pretty much painless and really really foolproof. I did run into a few of hiccups though. First, I popped the lid on the pot, without realising that you didn't need to for all recipes. When the jelly started to overflow, I realised quickly, with the help of Mr. Google that I didn't need to close the lid for jellies. This was my own fault though, as I should have read the instructions a bit more thoroughly. So that's the first thing I would recommend doing, reading up on the machine. Otherwise you could be running into a few messy situations. Most of the machine parts, including the stirrer, pot and lid are dishwasher safe, though I prefer washing them by hand myself. Storage is a little on the bulky side, and you will need space to put it away when you're not using it. Overall, I loved my experience with the FreshTECH Automatic Jam and Jelly Maker and now I am really excited to head to the farmer's market this weekend, so I can stock up on produce to make my own jams and jellies (erm, like I don't have enough of my own... and yeah, the other canning is happening too, you can be prepared for a ton of pickling recipes coming your way soon) I like that I can devote a day to putting up my fruit and veg, but at the same time, it gives me the flexibility to clean and prep as I don't have to stand over a hot pot with a wooden spoon and a panicked timer. Just for that alone, this is a winner in my book. This is my own recipe, that I adapted for the FreshTECH Jam and Jelly Maker. If you'd like to use the official recipes, you can find them here. They look awesome, and I'll be trying some myself very soon. This is a low sugar recipe that I made using the FreshTECH Jam and Jelly maker. I have linked to the more traditional versions above. 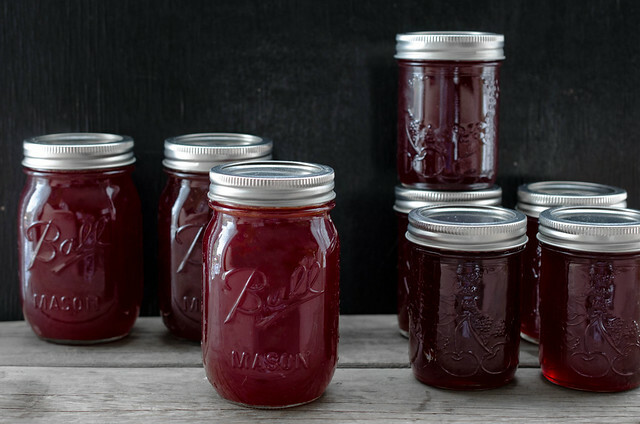 This jam is very tangy, but with an amazing flavour and fragrance profile. I love the almost Turkish fragrance that permeates the kitchen as I was making it. To make the cherry juice: pick over and remove the stems of the cherries. Place the whole, unpitted cherries in a large saucepan, and crush lightly using a potato masher. Add the water, and bring to a boil. Turn the heat down and simmer for ten minutes, crushing the cherries as they cook. Strain the juice through a coarse chinois or a cheesecloth lined sieve. Once you have collected as much juice as you can, strain again through a jelly bag, this time taking care not to squeeze the bag and letting the juice drip through. Measure out 3 cups of the juice, minus three tablespoons, and keep aside. Sprinkle in the powdered pectin in the FreshTECH Jam and Jelly maker. Pour in the juice and the rosewater. Set it to the jelly setting and press enter. When the machine beeps after 4 minutes, evenly sprinkle in the sugar. Don't cover with the lid, as it will overflow. The machine will automatically stir and cook the jelly at this point. Meanwhile, prepare your jars. Wash 4 half pint (250 ml) jars in hot, soapy water and let dry. Place the lids in boiling water. Keep the jars at the ready. When the jelly is made, the machine will beep. Press cancel, then unplug the machine. Ladle the jelly into the prepared jars, then carefully place the lids on top. Screw on bands to fingertip tight. If planning to eat straightaway, leave to cool (the lids will pop as they seal), then store in the fridge for up to three weeks. If planning to preserve, follow the directions included in this chart for Fresh Preserving here. I have a few canning goodies to give away to my readers, so don't forget to enter. I will pick the winners at random on Sunday, August 18th at 5 PM MST. Interested? Well, all you have to do to enter is answer this question - what fruit or vegetable would you most like to preserve? Leave your answer in the comments below, and please make sure that you leave me a valid email address at which I can contact you if you win. Thanks to Ball Canning, one lucky reader from the United States will be in with a chance of winning a Ball Canning Discovery Set, The Ball Blue Book Guide to Preserving and one coupon for a free case of Ball brand canning jars. Please note that this giveaway is only open US residents. If you live in Edmonton, Canada or internationally, please see below. I decided to Can-It-Forward myself, by also offering giveaways for my readers in Edmonton, Canada and all over the world. If you live in Edmonton, you're in with a chance of winning a Ball Canning Discovery Set, The Ball Blue Book Guide to Preserving and a zucchini (or any other vegetable that I pick) from my garden :) Same rules, just leave me a comment answering the question above, with a note saying that you're from Edmonton. I will pick a winner at random. Please note that you should be able to pick up your giveaway from me, and I will be able to meet you around Southgate Mall or in the University Area at a mutually arranged time. If you live in the rest of Canada or internationally, please leave me a comment and I will pick three at random, and you can win a copy of The Ball Blue Book Guide to Preserving. Same rules apply, except that in this case I will mail your book to you. Please let me know in your comments where you live, so you can be entered in the right giveaway. Disclosure: I was offered a collection of Ball Canning Supplies to review at my discretion. Please note that I am giving away some of the supplies at my own expense, while the official giveaway to US residents is sponsored by Ball Canning in the US. All opinions and the recipe are my own, and I hold complete editorial control over this post. I also chose to participate and publicise the Can-It-Forward day at my own discretion. I have never canned anything in my life - I just rely on friends to share their goodies with me! But with all the stone fruit out at the market right now, I am dying to buy a case of peaches to do something with, like maybe preserve them? I'd love to learn how to make a non-vinegary salsa! Tomatoes! My mom and grandma used to can them when I was a kid. Smart ladies. Can't beat soups using canned garden fresh tomatoes during the winter! 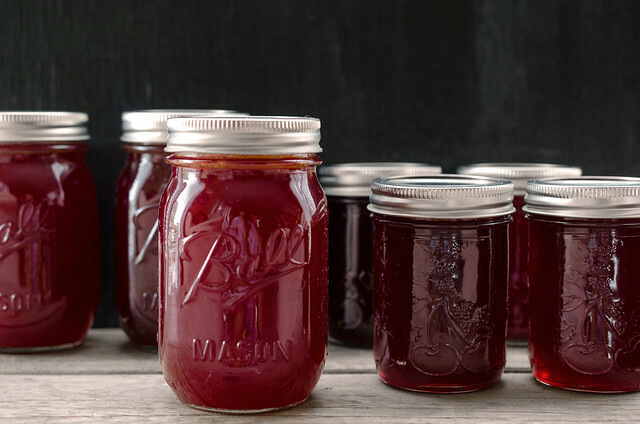 When I was much younger and had a house full, I used to make peach jams, and berry jams. But now that it is just myself, small batch jams would be nice. I would also like to try making jelly...that I have never done as it always seemed to take a long time. I remember my mom making crabapple jelly and hanging the fruit from the doorway in a clean pillow case! Susan Marcellus...fellow foodie and Edmontonian! i would love to win the canning supplies! i have recently discovered the magic of home canning too! my favorite fruit is nectarines --- is it even POSSIBLE to can those? I'm from Edmonton, and I like to can tomatoes (as salsa). I would like to can some Pickled Peaches and Pickles. I've already made Curried Zucchini Pickles, Plum Jam, Zucchini Ginger Marmalade (bumper crop). I end up canning more tomatoes than anything else, but I love raspberries best. Raspberry jam is my Mom's favourite, so I need enough for a jar with every gift throughout the year. Sounds like a fun gadget! I'm looking forward to your pickle recipes. p.s. I'm over here in Ontario... canning peaches. I have only canned strawberry jam thus far, but I want to try raspberries and peaches next! I love doing my own passata and jams. This year I've done some blueberry and raspberry jams and yesterday I made some nanking cherry jelly. I was a first time jelly maker! What I really want to try though, is to make my own pectin out of immature crab apples. I have a lovely recipe which uses this homemade pectin and Earl Grey tea. I'm jealous of your FreshTech!! I went looking all over for one of those yesterday! I just started canning last year, but have really found a passion for it. This year's flavour favourite is rhubarb raspberry jam with cardamom and vanilla, but only because I just put up a rhubarb black currant jam yesterday and I only tasted it while cooking. I have to say I love mangoes! I love canning them as jams, raw spicy pickles or as chutneys! Tomatoes, tomatoes and more tomatoes; for the first time in my life I have SO MANY. I'm thinking can these bad boys up whole, as salsa, pickled, sauce ... diced, stewed ... you name it. I have never done that before though (so I am a bit intimidated). I really want to make peach jelly and canning of vegetables. Seeing my husband is a diabetic I can then help by controlling the sugar intake and make him happy having jelly and jams e can eat without much worry on what it is doing to his sugar levels. I would love to can some tomatoes & jam! We have a ton of apples right now, so my choice would have to be a variety of apple jams, pie fillings, etc. Thank you for the giveaway. I have been preserving fruit for a few years now. I've mostly done fruit that are growing where I live(figs,plums,strawberries)but I want to start preserving pears. My neighbor has a pear tree and they welcome me to pick them. I really want to learn how to preserve them because I tried it before but the results were not favorable(mushy texture,watery syrup). With the right recipe,I will do it better next time. Apples, hopefully before they all fall off the tree. i'm from Edmonton. I'd like to learn how to can and do something with my crazy jalapeno plants! Cherry jalapeno jam? Peach? There are ssssssooooo many things I want to learn to can!! Peaches, corn salsas, tomato sauces. I need to get to learning. Well, since strawberry around these parts is overdone (but I never get tired of it), I think I'd like to do either pineapple or mango! Oh, I'd also like to try mandarin oranges too. Can you tell? I'm ADD ! LOL Thanks for the chance! Hi, I would love to be able to do any kind of jam but especially blueberries because my son can't get enough of those. I live in Edmonton! I've canned and preserved some vegetables (lots of cucumber pickles), but next I'd love to try making my own salsa from tomatoes from my garden! 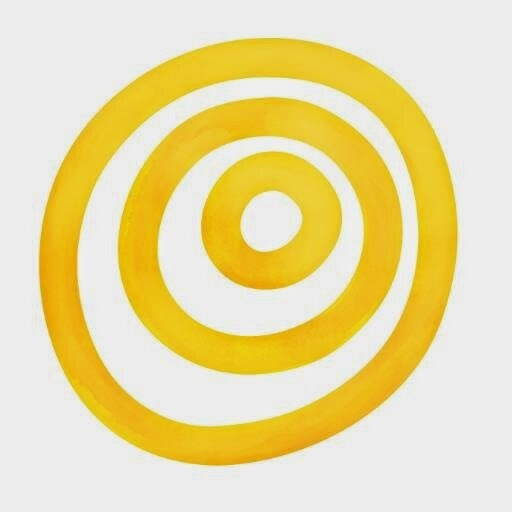 I would like to can tomatoes - it's the only thing I buy canned anymore, it would be great to can my own in the summer and not need to buy them anymore! watermelon pickles!! never canned ANYTHING and was afraid of it until my daughter brought up the idea , and having her grandmother's recipe , it was a success!! can't wait to do more! I can everything from hot pepper jelly to smoked salmon and garlic sausage. But what I love the most is making pickled carrots! Something about them that I just can not resist! I planted Jalapeños..and I guess didn't expect so many!! I also love pickled carrots and cauliflower! Ginger preserve ..!!! Would love to make some ginger preserve a.k.a alanso dos . Brings back lots of memories of helping my mum wash used jam jars for the preserve and help prick the ginger everyday for a couple of weeks in the summer holidays . Never liked the taste of it as a child but definitely craving some now .! I would love to preserve blueberries, it would be a great boon to have blueberries in the middle of winter here in NYC.